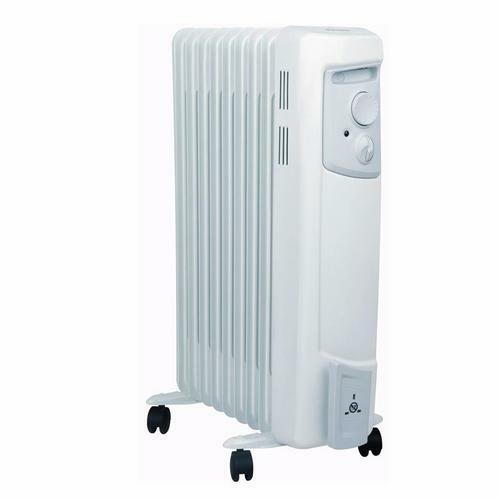 This Dimplex 2kW portable oil-filled radiator heater is ideal for both domestic or commercial premises, emitting a balance of convected and radiated heat, similar to a traditional radiator, but with the advantage of plug-in portability. With its durable and robust enclosed heating element, this unit is very safe and will not leak, or dry the air like some convection or radiant heaters. The OFC2000 is designed to warm the body rather than the air with a pleasant radiant warmth. This model features a thermostatic control and a choice of heat settings including frost control, giving you choice over the temperature of your surroundings and contributing to a more economical minded control. This OFC2000 oil filled column radiator is BEAB (British Electrotechnical Approval Board) approved for added peace of mind. its now sits in the corner of my living room and keeps me warm . thanks you so much! Excellent product,heats up straight away and keeps the chill off a cold conservatory. When I opened the parcel and viewed the item Iwas happy with the looks. I tried it on and found that the output was not good and my wife does not like it at all and wants me to return it. I want to know the cheapest way to send it back to you. Can I deliver it to Yodel? and where. How do i know if this will heat the room sufficiently or if i need more than one?